This is a guest post by the always awesome Kyle Schmitt. 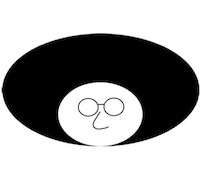 He can be reached by emailing the moderator of this blog here. Running neck-and-neck with Governor Mitt Romney just days before the 2012 election, President Barack Obama brought out the big guns for his final campaign rallies. To help make the case for a second term, the Commander-in-Chief turned to the Boss. Obama campaigned with Bruce Springsteen, John Mellencamp, Dave Matthews and other musicians during the campaign’s final week. These artists performed their songs in front of thousands of the President’s supporters in the crucial swing states that decided the election. Running to unseat Obama, Romney enlisted Kid Rock, Lee Greenwood, and the Marshall Tucker Band to play his closing campaign events. But why campaign with a bunch of long-hairs when you’re running for leader of the free world? Why would Obama and Romney choose musicians as their advocates instead of business moguls like Warren Buffett or Donald Trump, superstar athletes, or even other entertainers with pop culture appeal? It’s only rock ‘n’ roll, as the Rolling Stones have reminded us for almost 40 years. But not only do voters like it, they may cast their votes based on their favorite singers’ support for their candidates of choice. This devotion led to numerous musicians being welcomed onstage to boost rally attendance and fire up the candidates’ supporters ahead of an election that appeared too close to call until the very end. 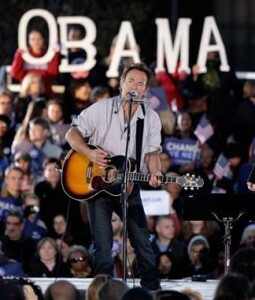 Here’s how the recording artists who appeared with Obama and Romney helped rock the vote. ’Cause I’m Proud to be an American – The right campaign song can serve as the perfect theme for a candidate’s vision, as well as the American attributes they claim as their own. Springsteen’s anthem “We Take Care of Our Own” provides a powerful defense of the social welfare system and Obama’s oft-repeated Twitter statement that, “We’re all in this together.” Over a pounding drumbeat and triumphant guitar, he challenges the nation to stand up for those he believes have been left defenseless and destroyed by the recession. These lyrics provide implicit support not only for specific measures such as the President’s call to extend unemployment benefits, but his campaign’s cornerstone promise to serve as a champion for the country’s middle-class. On the Republican side, Romney supporter Trace Adkins promoted a more libertarian viewpoint when performing “Tough People Do”. This defiant country song contains the lyric, “Tough people pull themselves up by the bootstraps when they hit hard luck”, and can be read as a conservative indictment of the government-funded bailouts and other perceived Washington excesses of the past five years. Greenwood’s “God Bless the USA” and Kid Rock’s song “Born Free” make use of religious and patriotic imagery, with Rock vowing, “I will bow to the shining sea / and celebrate God’s grace on thee.” These songs touched a chord with the Republican base, which is heavily Christian and places a premium on love of country. 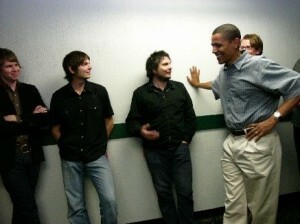 Wilco, with President Obama for scale. Reaching out, touching me… – Associating with the right musicians can also boost candidates’ appeal to voters they need to win an election, a truth demonstrated in Obama’s choice of campaign performers. Springsteen was deployed to Rust Belt events, where his connection to middle-class white Americans would theoretically lead to greater support for the President among these voters. Obama utilized musicians to reach out to numerous favorable voting groups and enhance his preexisting support from these demographics. 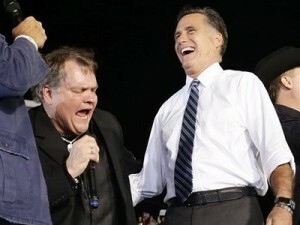 His campaign rallies featured the Spanish-language band Maná, hip-hop icon Jay-Z, and pop sensation Katy Perry. These performers helped the President’s campaign to successfully target Hispanic voters (a group Obama won 71% of), black voters (93%), and 18-29-year-old voters (60%). Get on your feet – Enthusiasm is paramount to turning out voters and bringing in volunteers, especially during the campaigns’ all-important Get Out the Vote timeframe. This critical juncture takes place during the four-day period prior to the election when campaigns shift into overdrive to contact all potential voters and get them to the polls. And at a time when campaign volunteers may be weary from canvassing door-to-door (and voters tired of their constant visits), live music provides a welcome jolt of adrenaline to all involved in the political process. Perhaps no performance was more emblematic of this excitement than Kid Rock standing on a piano this past election eve and belting out the soulful vocals of “Born Free” before a New Hampshire audience of 12,000 people. Obama leveraged the same dynamic when he brought in Dave Matthews to headline a sold-out Virginia amphitheater event November 3. But the motivating factor of live music was never clearer than when the legendary Stevie Wonder played an unannounced concert for Clevelanders standing in line for early voting that same day. His impromptu performance provided extra incentive for these voters to brave the long lines for hours and make their voices heard. All together now – No matter how strident the song, campaign music rarely turns into attacks on fellow Americans who share different political beliefs. And for good cause: no campaign wants a belligerent message that will turn off independent voters. This policy seems to extend to candidate-affiliated musicians’ comments off-stage, for reasons not limited to the threat of alienating fans and losing record and ticket sales. Even after endorsing the President, Springsteen still made time to speak (via telephone aboard Air Force One) with devoted E Street fan and Republican National Convention keynote speaker Governor Chris Christie. Kid Rock breached the partisan gap the hard way when he ran into Obama at an event just weeks after the November election. He said the President reminded him, “I’m still here,” which he recalled acknowledging while laughingly retelling the encounter. Kid Rock went on to call for Americans to support their country and wished the President good luck in resolving the nation’s challenges. If politicians and musicians, even the self-designated Devil Without a Cause, can reconcile after an election, surely their supporters can come together right now.